Traditional Chinese Medicine (TCM) has been around for countless centuries and is practiced in multiple countries around the world. Ancient eastern medicine was looked upon with disdain by western medicine until quite recently when prestigious organizations like the World Health Organization and the National Institute of Health began conducting some studies. They studied acupuncture in particular and its effects on certain kinds of chronic pain. The surprising results showed that acupuncture proved beneficial. Acupuncture is one of the key components of TCM so let us investigate what it is, how acupuncture works, and what benefit it may have in western culture and medicine. The goal of TCM is to eliminate the root cause of problems, illness and pain. It is believed that pain or illness is simply a dysfunction in our body’s energy, known as Chi. This Chi energy flows through our bodies and all our organs to give us life. Traditional Chinese Medicine believes that Chi moves up and down our bodies in fourteen meridians. Accordingly everything in our bodies is inter-connected and each part affects the rest. We are in good health when all the energy (Chi) is flowing freely and is balanced. Lack of balance of this life force or a blockage within our bodies causes illness and pain. Once we re-balance and unblock this energy, we can eliminate the pain and the symptoms of the illness. Acupuncture is an example of ancient holistic health care. It uses tiny sterile needles inserted into specific points to create Chi energy and balance the body or unblock the Chi energy. It is completely painless and it permits the energy to flow freely again. The puncture point acts like a “gateway” to unclog or open the blockage of the energy. If treated correctly the symptoms or your pain will decease or be eliminated completely. The US Navy, Air Force and Army doctors are treating stress, pain and musculoskeletal problems with acupuncture in the US and over overseas. Neuroimaging studies show that acupuncture can calm areas in the brain that show pain and activate those areas in recuperation mode. Brain scans of patients with fibromyalgia show a release of endorphins or natural pain killers after acupuncture. Ultrasound studies show acupuncture helps with inflammations in the body. It is clear that modern western medicine is recognizing the advantages of using acupuncture and continues to study it usefulness. Its practice as an adjunct treatment or medical alternative for many chronic pain issues is becoming more accepted. The most recognized benefit of acupuncture is the relief from chronic pain. If you suffer from high blood pressure, nausea or digestive issues, acupuncture can help relieve these symptoms and side effects. Those with asthma, anxiety, osteoarthritis especially of the knee can benefit from treatment with acupuncture, but it's important your acupuncturist works along side your primary care physician for the sake of combining pain management strategies. There are even some cosmetic applications for acupuncture. 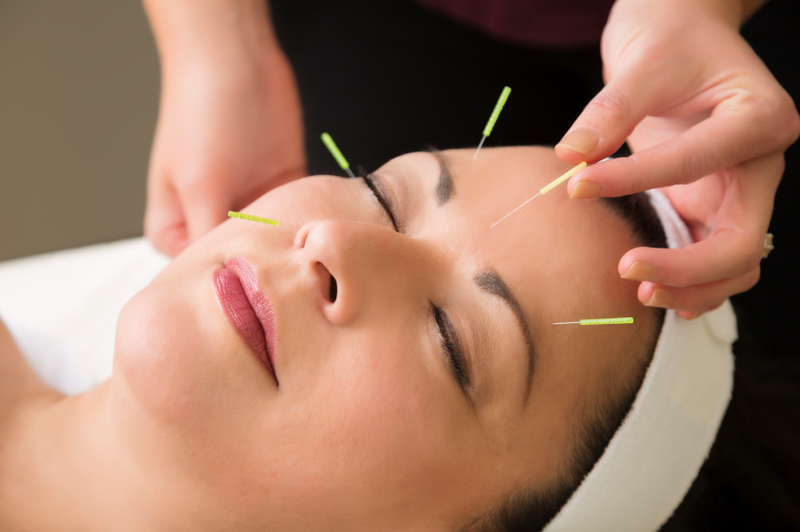 Acupuncture provides a particular advantage for patients who would prefer a more naturopathic type of medicine. It becomes an excellent alternative because those patients can relieve pain without the side effects that come with prescription drugs and medications. The specialists at Downsview Chiropractic are specially trained to do acupuncture and can treat your specific issues in a more natural way. If you are suffering from chronic pain and you are looking for some relief contact us for a Naturopathic and acupuncture consultation.